Thom and company gave it their all! What an awesome weekend up at CrossFit Agoge! Thanks so much to John and Kelly for hosting such a fun event and allowing us to be a part of it! For making the road trip to Montrose and laying it all out there. I am so proud of you guys. You SO represented CrossFit Junction!! Thanks to all of the friends and family that came and offered their support and loud cheering voices!! You guys couldn’t make it this weekend but poured your hearts into the workout this week. I am so proud of your amazing efforts. Good job to the team!! The new deadline for submitting your result for the Week 1 workout is now Sunday, March 27 at 17:00 PDT. You now have an extra week to register and nail the Week 1 workout. All the rules are the same, but we are now allowing you until Sunday, March 27 at 17:00 PDT, a full extra week, to perform your workout and submit your results. As always, you are welcome to repeat the workout any time before the deadline if you think you can do better. The Week 2 workout will be announced on Tuesday, March 29 at 17:00 PDT, with the submission deadline Sunday, April 3 at 17:00 PDT (again, this is Week 2). There are over 20,000 athletes registered to compete in the CrossFit Games Open. 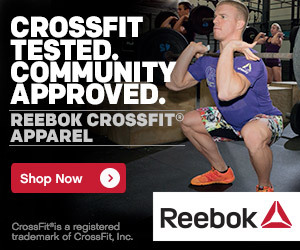 That is a historic number, both for the CrossFit community, and for online athletic competition in general. We want to be 100% sure that everyone gets to compete with fair terms. There have been too many problems with registering, the leaderboard, team creation, and account management. Our IT and support teams are working around the clock to respond to your questions and fix these bugs. They have made significant progress, but not enough. This new deadline will give everyone enough time to make sure that they are registered to the site, assigned to the right team, and correctly submitting their performances. We hope that you take advantage of this time to participate fully in the Open. This is good news for those of you that would like to try and improve on your current score. We will post time/day options for completing this workout again. The Paleo Challenge has 2 weeks left. Are you working hard on being the best YOU? It was great seeing everyone from GJ this weekend! You guys kicked some serious behind!! Keep it up and we look forward to working out with you on the next WOD for the games. Again great job!! look forward to trying to better my score. today’s W.O looks super easy! sarcasm @ it’s best. John actually beat me by about a round, so I believe the message he sent was “keep chasing.” It was a great weekend for all that competed. I am very proud of all of you that jumped in with both feet and said, “LETS DO THIS”. It takes a lot of courage to travel outside our safe box and perform infront of others. You should all be very proud of yourselves. Keep up the good work. To my Junction homies, I love you all, even you Tommy “the mouth of the south” Hart. The bottom line is that Tyler is a stud and he did send me a message. The message was that he never actually left. For those of you who don’t know, Tyler was born a stud. So don’t ever let his quiet demeanor fool you, his heart and determination pale only in comparison to his capacity as a human being. Way to rock it this weekend Ty, and everyone else as well. Tom, I believe that you can start talking crap when you can beat my wife’s score. Until then, keep working. well said John… your wife did a great job pushing threw that W.O. I’m sure you are very proud! I will try my best.. until next time… I will be watching the progress of the 2 of you with great interest.